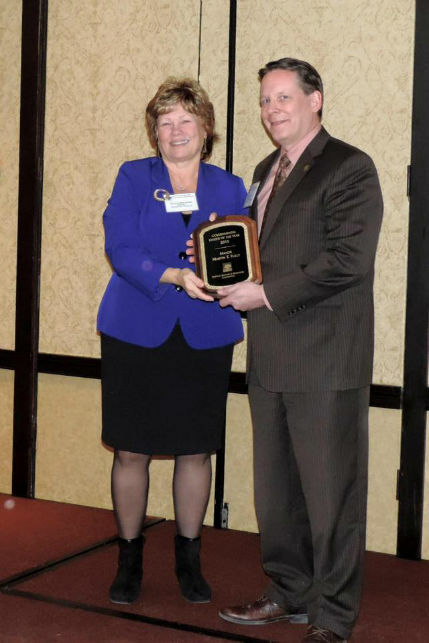 Mayor Martin Tully has been recognized as the 2015 Governmental Leader of the year by the DuPage Mayors and Managers Conference (DMMC). Mayor Tully served as President of the DMMC in 2014-15. "During his term as Conference President, Mayor Tully set a strong example for his fellow municipal officials by bringing leadership and cohesiveness to the Conference. In a challenging year, he was called upon multiple times to make decisions in the best interest of the membership and to represent the Conference on complex issues, including public safety pension reform," according to a statement posted on the DMMC Facebook page. Congratulations Mayor Tully on receiving well deserved recognition as 2015 Government Leader of the year.